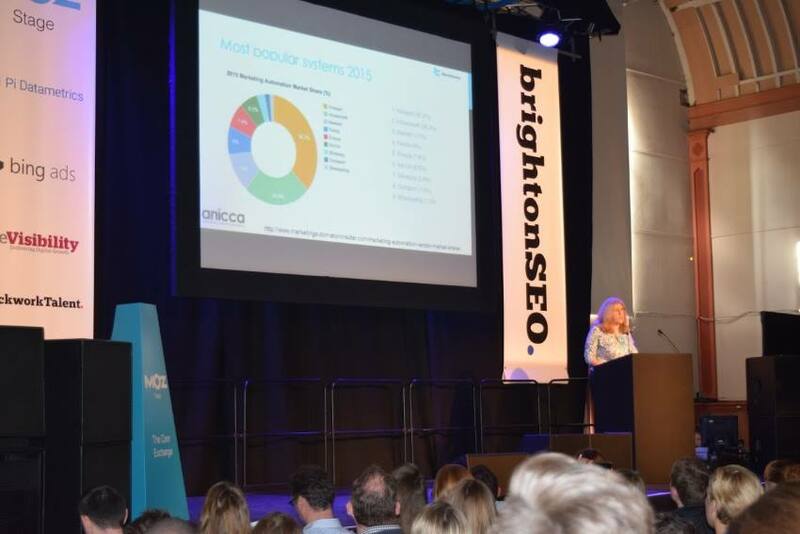 Last week some of the Anicca team headed down for the second Brighton SEO event of the year. 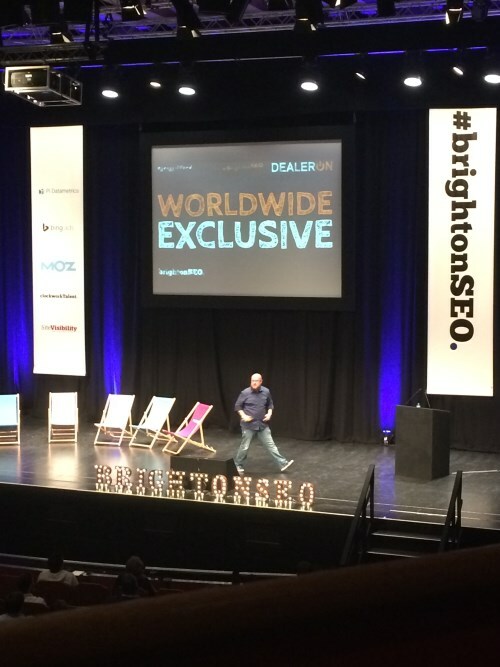 Held twice yearly at the Brighton Dome Brighton SEO is a free conference featuring speakers that specialise in all areas from local SEO, content, social and tech SEO. For me, it was my first experience of any SEO conference, so what better way to kick off my conference experience than with Brighton SEO. There was plenty to see and do with 4 rounds of talks, each with 3 to 4 speakers in the session and lots of companies demonstrating their products (And of course giving away freebies). Our team split up so we could see as much as possible and watch as many speakers as possible. Ann Stanley, our MD was one of the speakers this year, her talk was ‘Benefits of using marketing automation software as part of your content marketing strategy.’ You can see her slides in the Brighton SEO section our our website here. My favourite talks of the day came from the first session of the day from the onsite speakers Jon Earnshaw (@JonEarnshaw), Chris Green (@ChrisGreen87) and Pete Campbell (@PeteCampbell). Jon’s talk was all about content and whether it works better for others. He had taken on a range of experiments with content and showed us how when content is copied from your site, you often trade places for a week or two with the people that stole said content, it also made us aware that it’s always important to check who replaces your listing in the SERPs if you have a big drop in ranking. You can see his slides here. Chris’ talk was about Cannibal Content and how to avoid it, his presentation went through a range of tools to help identify cannibal content and how to fix it. He did great to cover such a big topic as well as he did within 20 minutes! It’s definitely worth taking half an hour out of your day if you have a site that’s prone to cannibal content. Chris’ slides are available here. Pete’s talk was ‘From SERPs to Markup: How to increase your earned traffic’ and it went through various tools and schema / JSON-LD markups you can use for your websites to help push more people to your website. It certainly gave us a lot of ideas on what we can try with our clients to keep us busy over the next few weeks. Pete’s slides are available here. A team favourite, and judging from the comments on twitter a favourite by most people was Greg Gifford’s (@GregGifford) talk on Local SEO, unfortunately it is one of the talks I missed, but you can see the slides from his talk ‘Local SEO – A Seriously Awesome Blueprint here (yes it is a movie themed presentation). With Anicca having recently launched their own SEO service for small and local businesses it was great to know we’re offering a service in line with one of the top local SEO guys in the business. I’m sure the guys will be writing a more in depth review of their favourite talks later on. Overall I found that Brighton was brilliant day and there was a lot for us to take away to improve our customer websites and marketing. It’s also great to hear that we are doing exactly what some people spoke about too, so we know we are on the right track! Roll on the next event! Did you attend? What was your favourite talk of the day? Let us know!